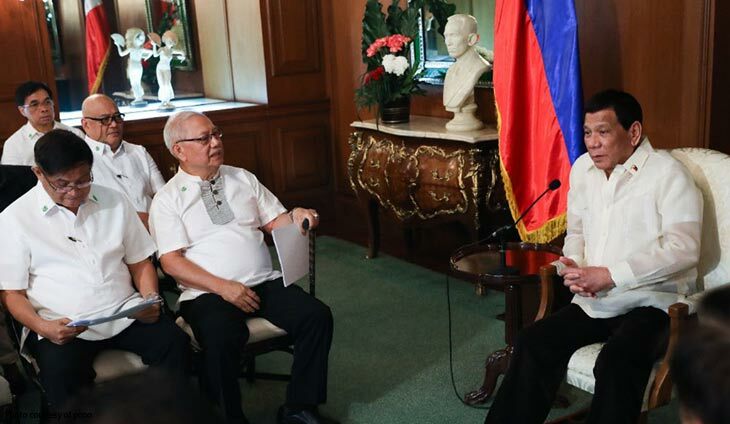 President Rodrigo Duterte gave officials of the Metropolitan Waterworks and Sewerage System (MWSS), Maynilad Water Services Inc., and Manila Water Corp. for their epic fail in ensuring stable water supply to millions of consumers in Metro Manila. Presidential Spokesperson Salvador Panelo said Duterte gave a 40-minute monologue during the late Tuesday night, closed-door meeting in Malacanang where officials of the MWSS, the Metro Pacific-Salim-Consunji consoriom, and Ayala-controlled firm did not speak a word. Panelo said Duterte was so mad that he did not even look at the bumbling officials. He said the President ordered the scolding session by ordering them to submit a report on the water shortage before April 7. “After which he will decide whether heads will roll or whether the contracts of the concessionaires will be terminated,” he said. “All they care about is get profit from the water of the people and to their sufferance as well. The President told them they could have simply anticipated such shortage and could have done something about it. They had to wait for him to threaten them with personally rushing to Manila from Davao to grapple with the crisis before they moved to end it. The Chief Executive bluntly told them to shape up or ship out,” he added.